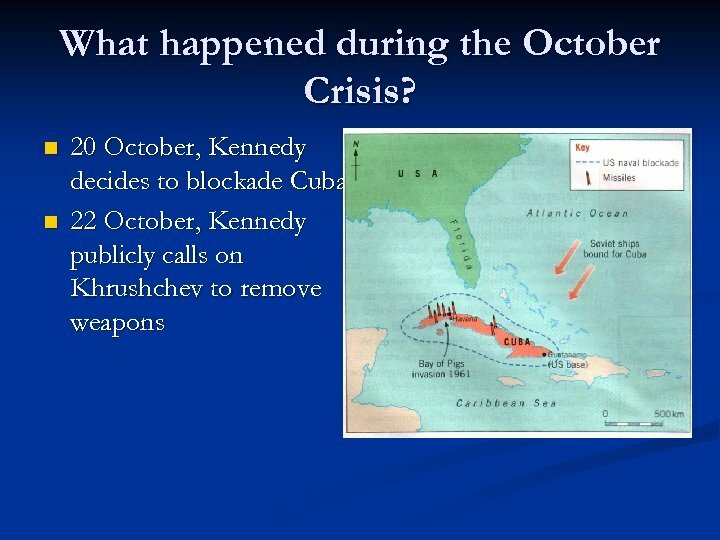 What was the background to the events in Cuba? 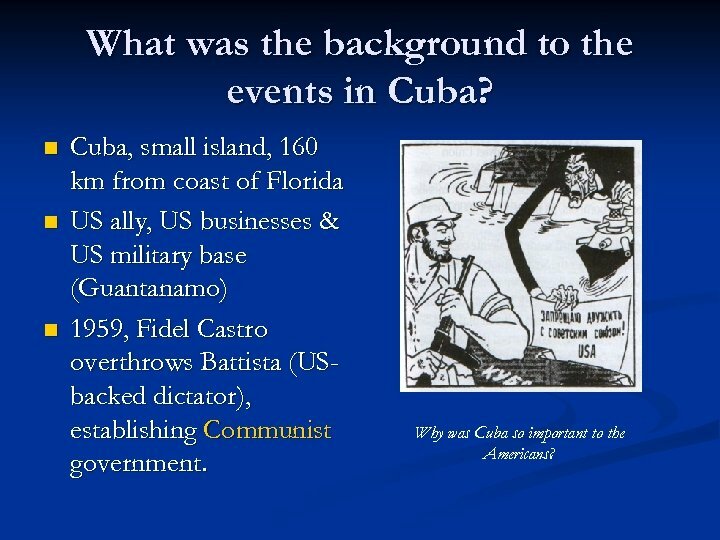 n n n Cuba, small island, 160 km from coast of Florida US ally, US businesses & US military base (Guantanamo) 1959, Fidel Castro overthrows Battista (USbacked dictator), establishing Communist government. 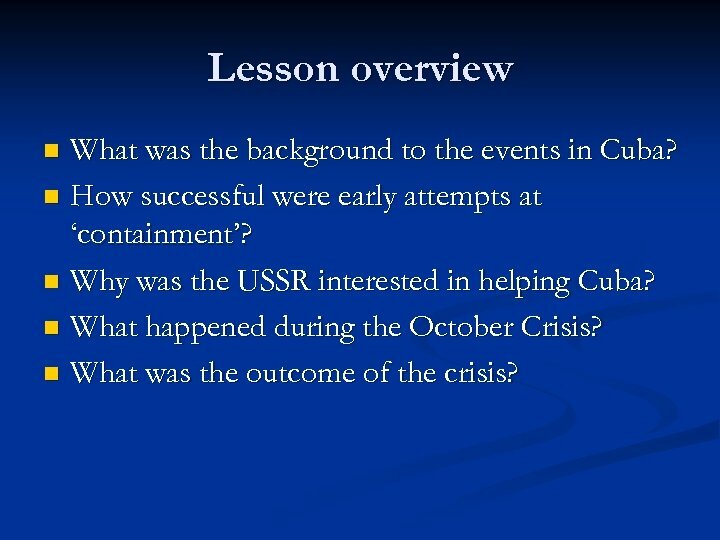 Why was Cuba so important to the Americans? 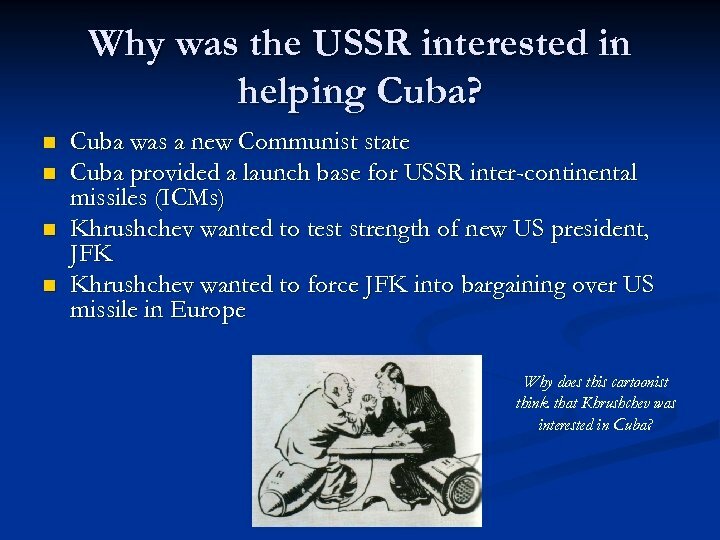 Why was the USSR interested in helping Cuba? 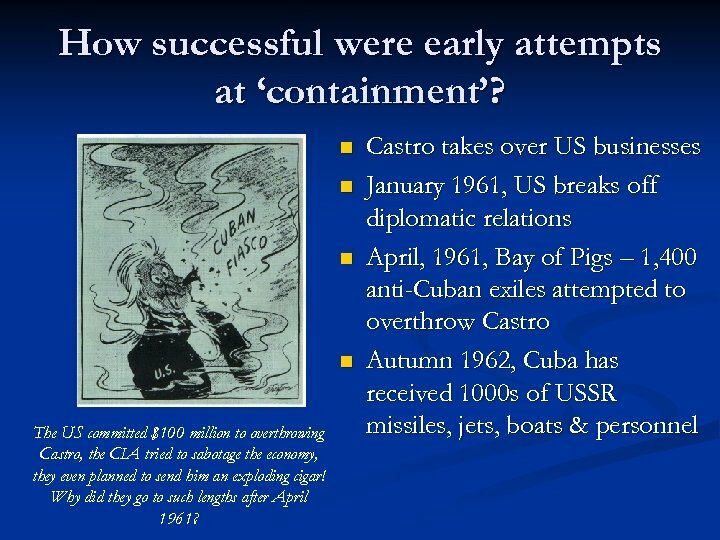 n n Cuba was a new Communist state Cuba provided a launch base for USSR inter-continental missiles (ICMs) Khrushchev wanted to test strength of new US president, JFK Khrushchev wanted to force JFK into bargaining over US missile in Europe Why does this cartoonist think that Khrushchev was interested in Cuba? 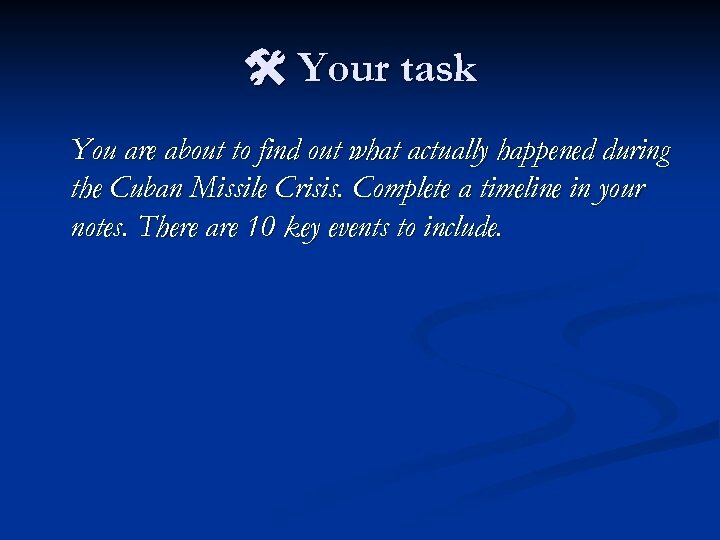 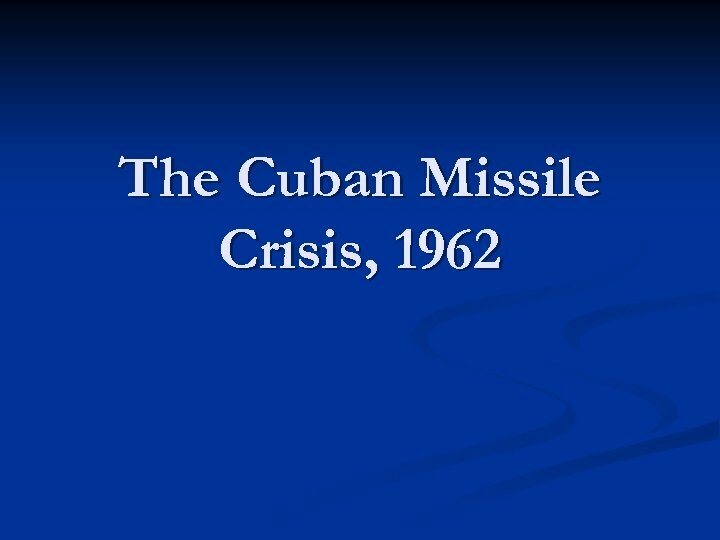 Your task You are about to find out what actually happened during the Cuban Missile Crisis. 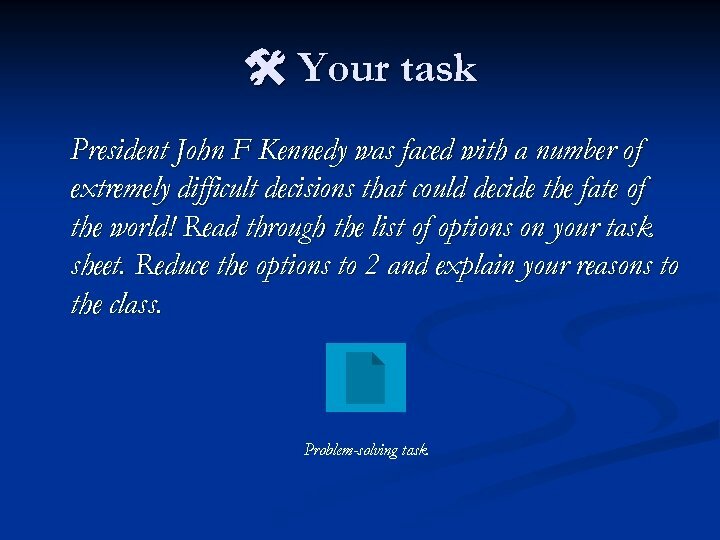 Complete a timeline in your notes. 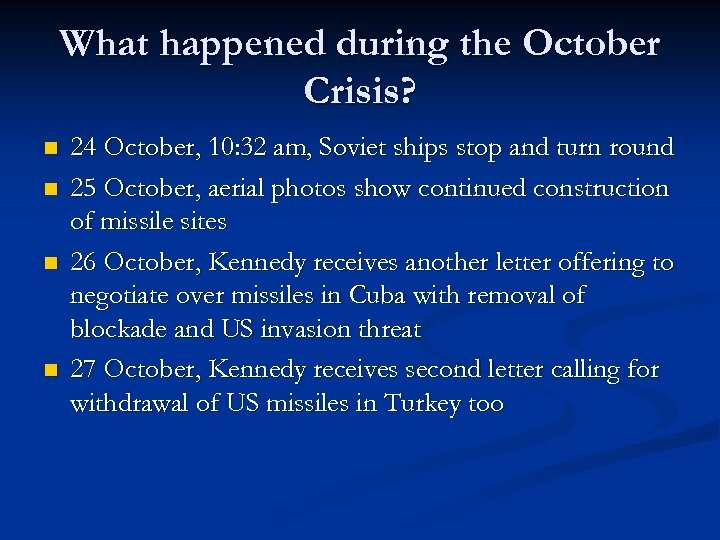 There are 10 key events to include. 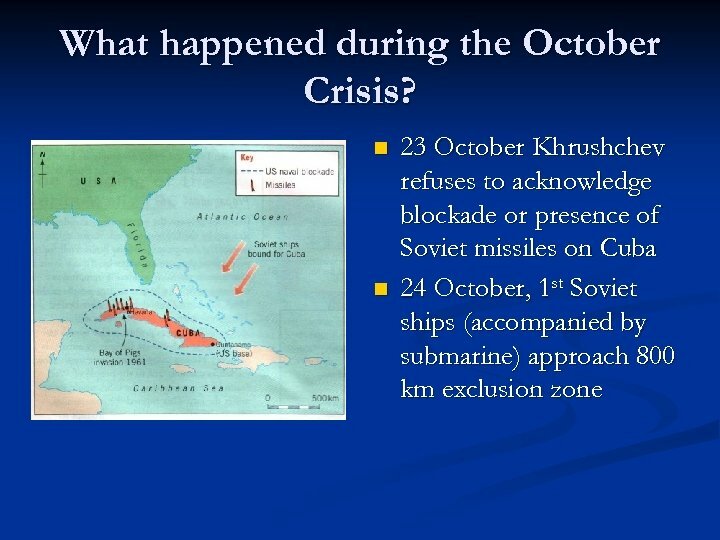 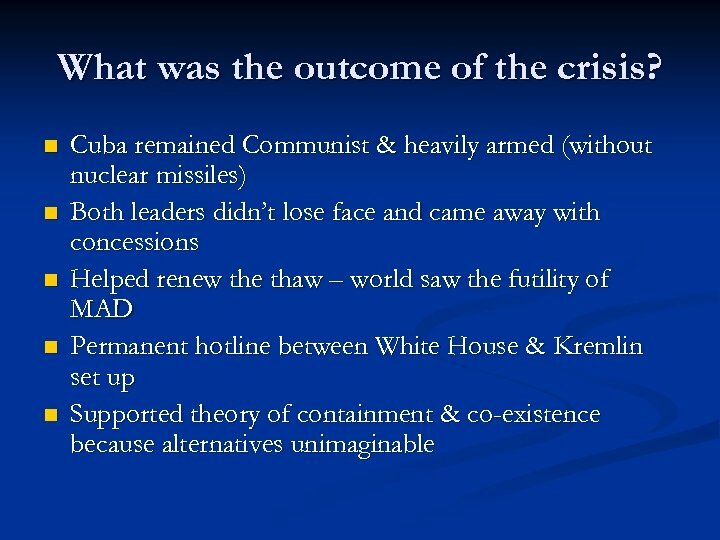 What happened during the October Crisis? 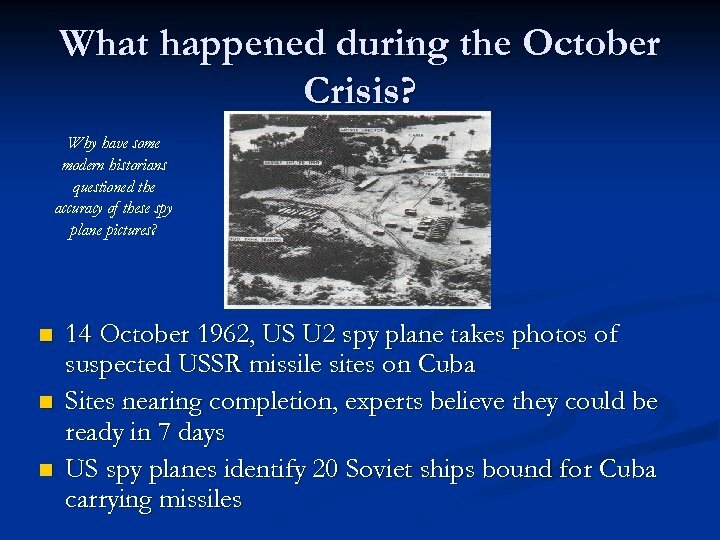 n n 27 October, US U 2 plane shot down over Cuba & pilot killed. 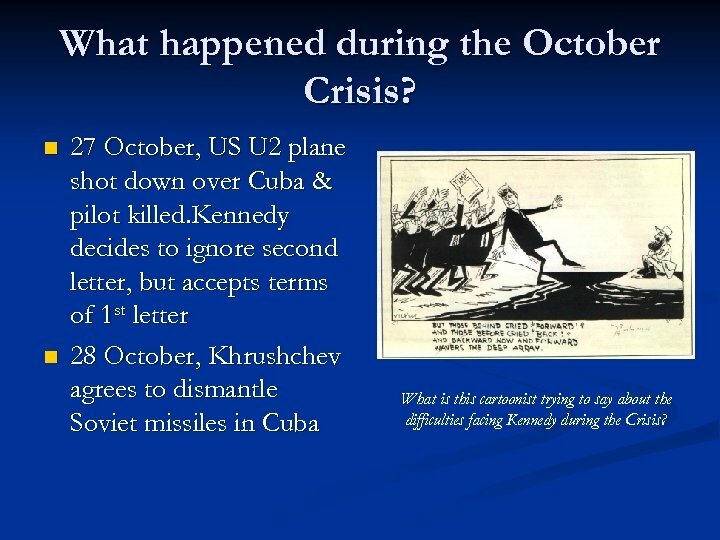 Kennedy decides to ignore second letter, but accepts terms of 1 st letter 28 October, Khrushchev agrees to dismantle Soviet missiles in Cuba What is this cartoonist trying to say about the difficulties facing Kennedy during the Crisis?